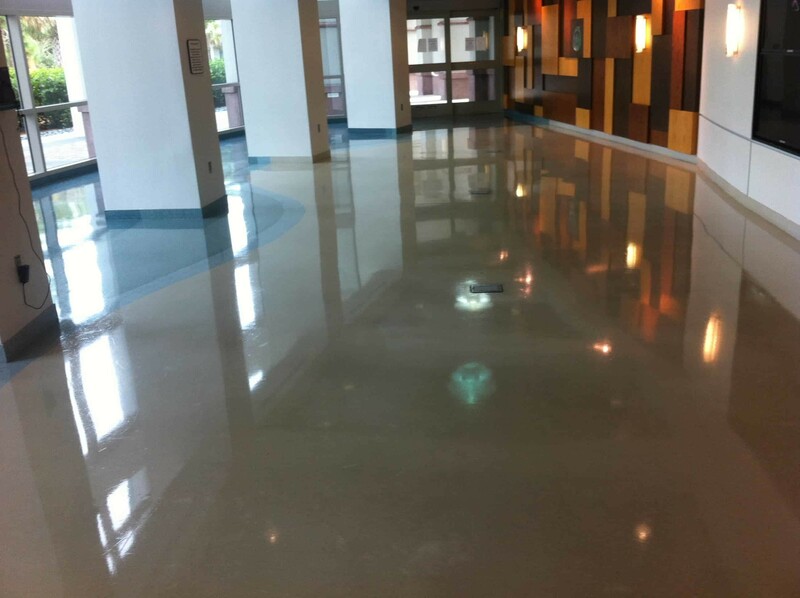 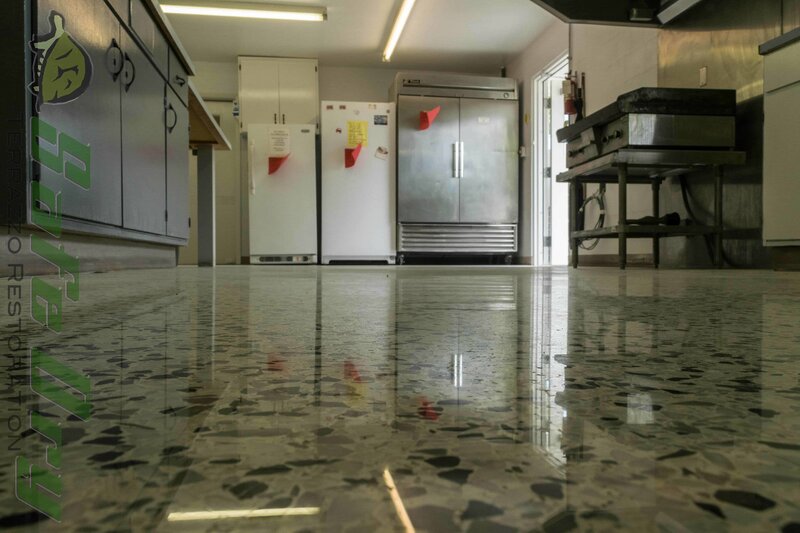 Commercial terrazzo floors hold a great opportunity for any terrazzo restoration company. 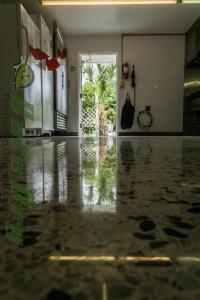 They also come with a lot of potential problems. 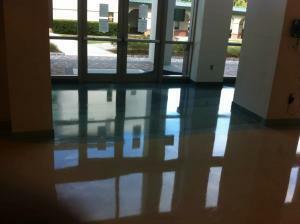 In this blog we will cover a terrazzo floor restoration just finished in Palmetto Florida. 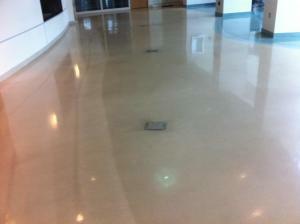 This floor has pink Portland cement as well as pink and white marble stones. 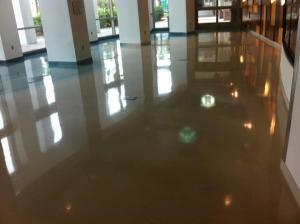 The terrazzo restoration took three days. 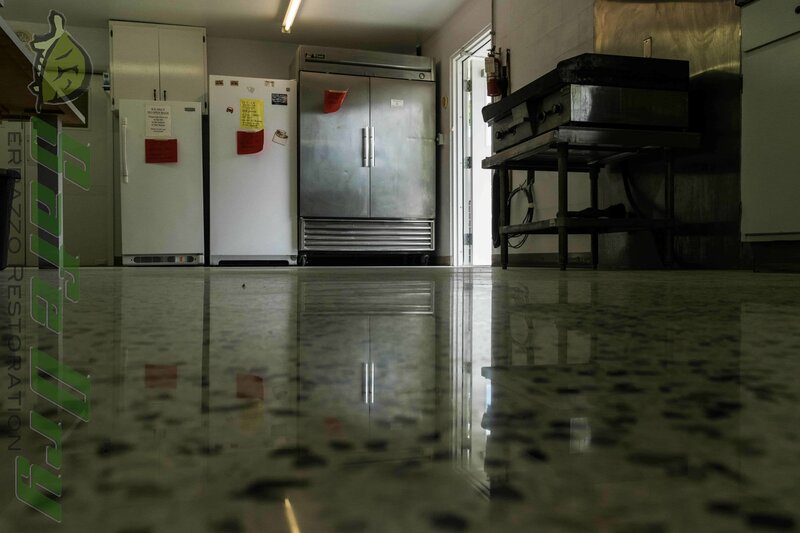 We had to keep one elevator available for the entire job. 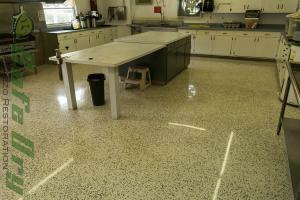 The end result was a terrazzo floor that no longer had a coating on top. Instead it was totally diamond polished and shined like it never had before. 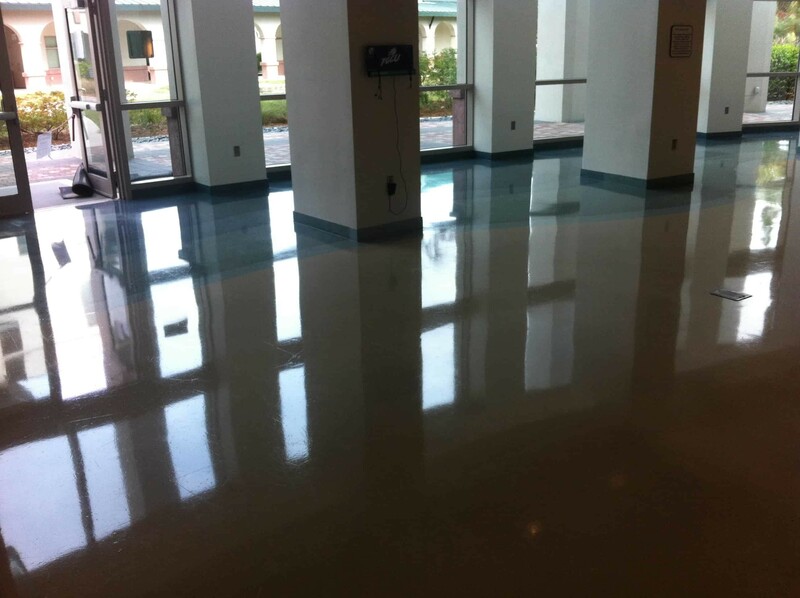 We used a premium stone penetrating protectant so the floor will stay protected for many years to come. 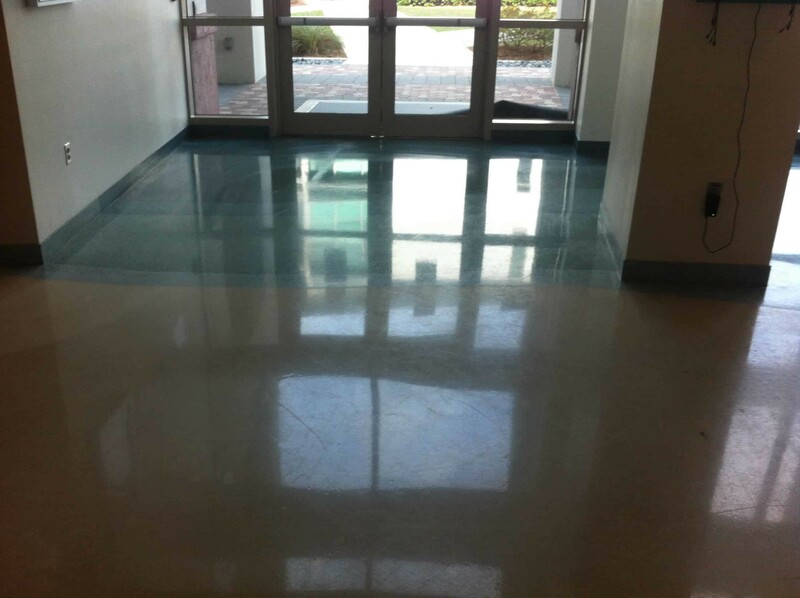 Here is another commercial terrazzo restoration done in Venice Florida. 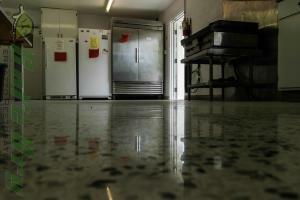 this floor is eighty six years old and had glue down carpet on it for the last several years. 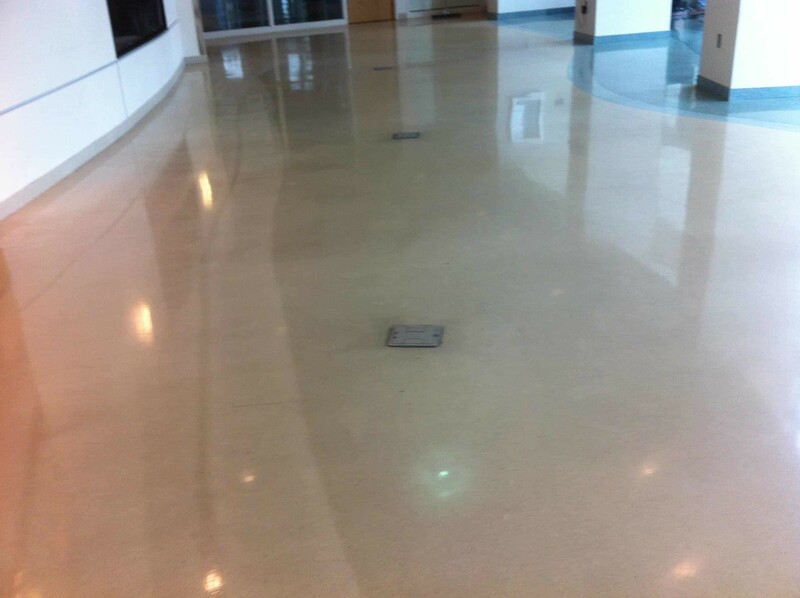 We scrapped up the glue and restored the terrazzo using our twelve step process. The terrazzo was installed in four square foot sections. 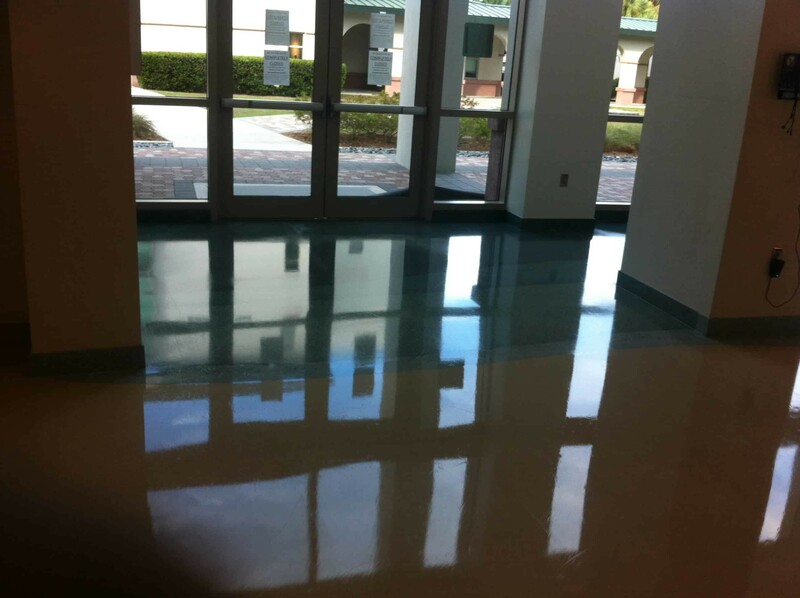 The sections are divided with copper strips. 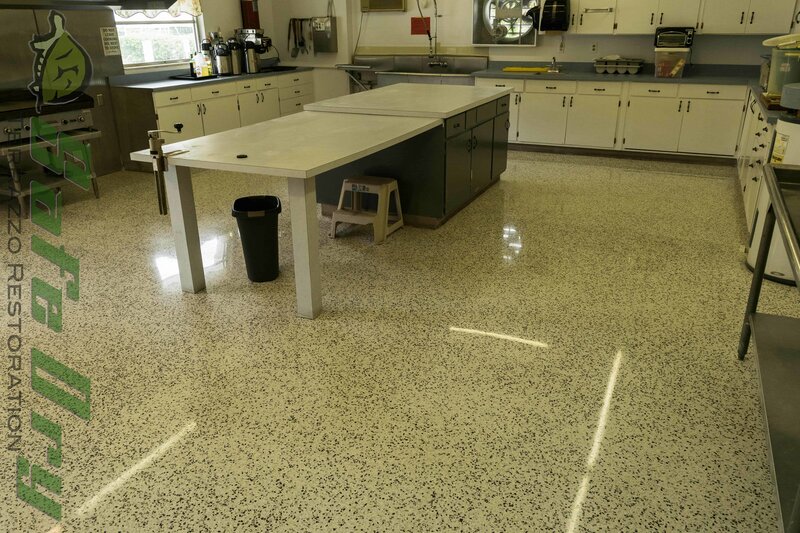 This terrazzo restoration took three days. 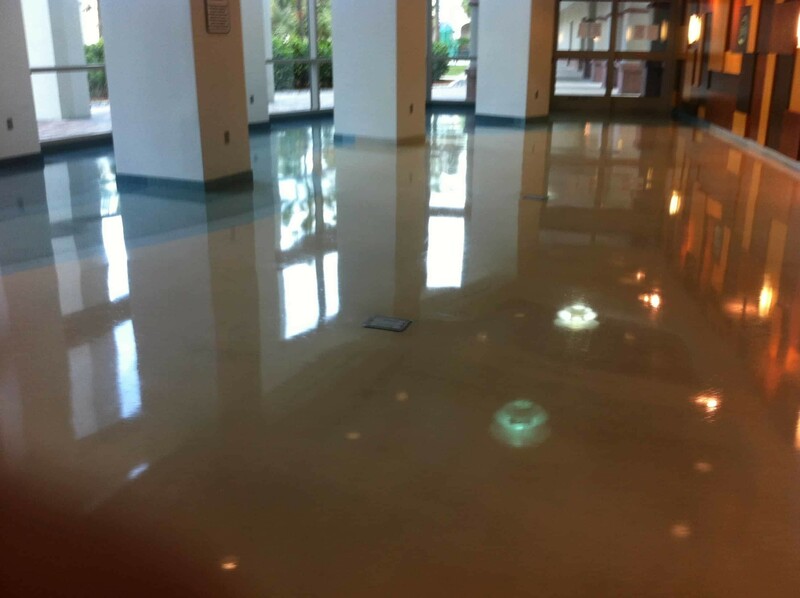 As you can see this Venice nursing home was hiding the centerpiece of their dining room. 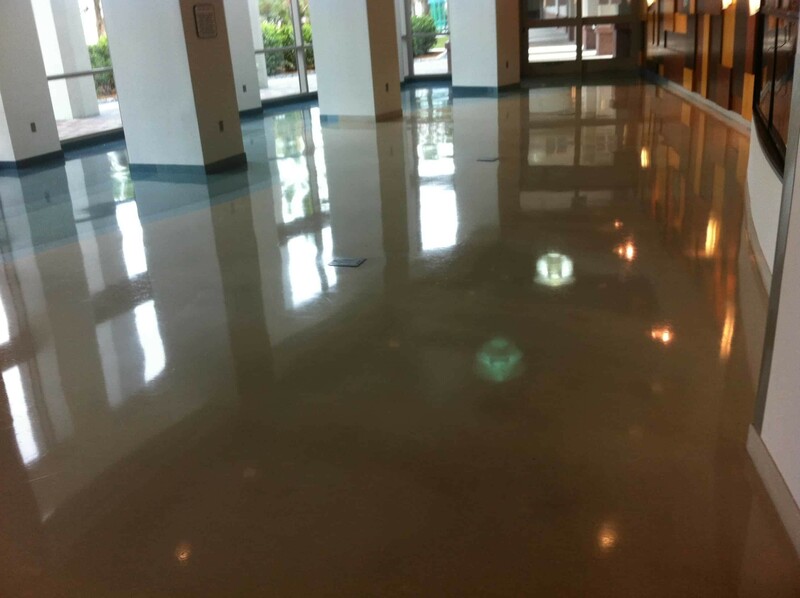 Give us a call with any of your terrazzo restoration questions. 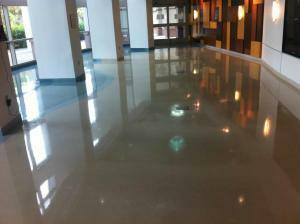 By Joe Martin 877-824-0501. 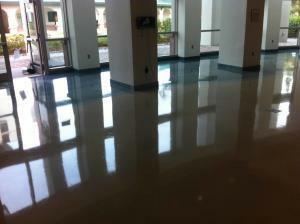 During the winter break we cleaned and recoated the floor at Florida Gulf Coast University in Fort Myers. 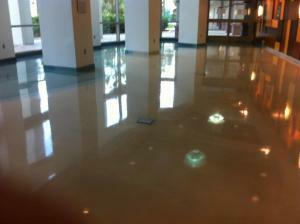 Here are some pictures we took of that job.